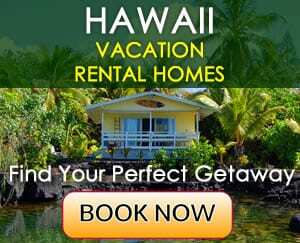 Dinner cruises are a very popular activity in Hawaii, and no matter if you visit Oahu, Kauai, Maui or the Big Island, you can go on a cruise with your loved one or the entire family. Depending on your cruise preferences, you can choose from standard to luxury dinner cruise packages. 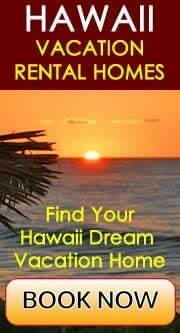 There are a wide variety of vessels as well, ranging from small sailboats and catamarans, to larger ships built specially for Hawaiian waters. What is common among all the dinner cruises that are available is that they sail along the coast of famous beaches and therefore offer unique photo opportunities. If you decide to go on a smaller boat, you will most likely be treated with a tropical standard drink and snack while sailing. Sailing on a smaller boat gives you the feeling of open air; you will feel totally immersed into the surroundings and feel the motion of the waves and smell the fragrance of the ocean. Sunset cruises on a smaller sailboat is for those, who want to enjoy the ocean views, rather than having a dinner and party aboard. If you prefer to purchase a standard dinner cruise aboard a larger vessel, your package will most likely include a drink, a buffet dinner and live entertainment on board. The shows are different on each vessel, but most of them emphasize on Polynesian music and dances. Some of the shows are more party-oriented, others more romantic, and some entertainers will even perform soft-rock and evergreen songs for you. 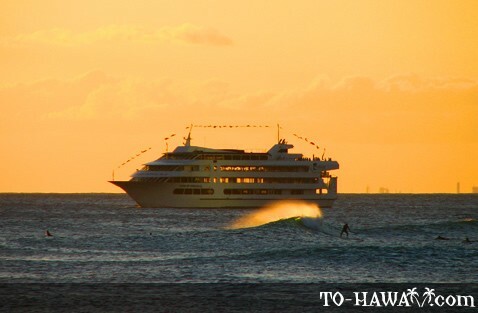 Because dinner cruises are such a popular thing to do in Hawaii and because the rate of standard dinner cruise packages is lower than premium or luxury packages, many people choose the standard packages. So when booking your cruise, keep in mind that if you purchase a standard package, you'll be likely to dine among many others. The deck for standard cruise guests is usually more crowded and noisy (more like a party atmosphere). However, if you don't mind being among many people, a standard dinner cruise package is perfect. If you want to experience a romantic dinner atmosphere, choose an upgraded version of your dinner cruise package, such as premium or luxury. Although the price for those is higher, you will most likely enjoy a table by a window, table service, premium tropical cocktails or even champagne. Besides that, premium and luxury packages feature a first-class Polynesian show and sometimes jazz entertainment, depending on the vessel. The service is also more personal and there is more space on the deck. Some of the dinner cruise providers have certain restrictions for luxury packages, for example that they don't allow children under 12, or that gentlemen have to wear jackets. Whichever package you choose to buy, make sure you talk to your travel agent about the details of the package, or read about the details on the Internet, if you're booking online. 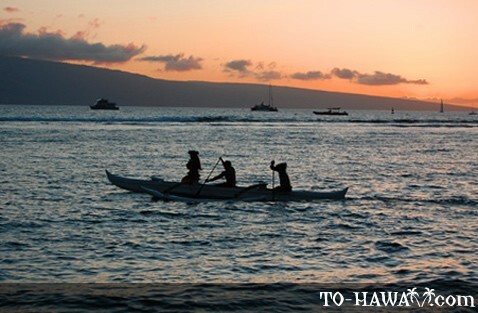 The average length of a dinner cruise in Hawaii is between two and three hours. Some cruise providers arrange roundtrip transportation from your hotel for free or for an additional fee (depending on the package). Aboard the vessel, you will be able to enjoy beautiful ocean and coastline views. If you are going on a dinner cruise during the winter season, you will have the chance to spot whales as well. Spectacular sunset views are not always possible. 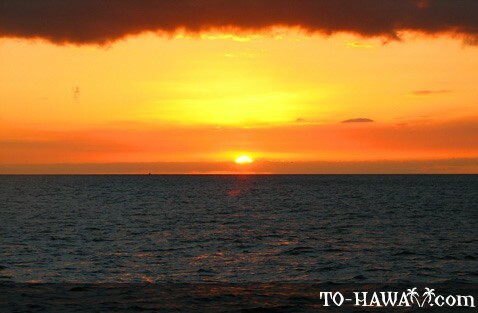 Because of Hawaii's geographic location, the Hawaiian sunset only lasts for a short period of time (twilight is much shorter here), and sunsets are often times not as spectacular as you might have seen them on postcards. However, intensive and really colorful sunsets are possible on some days. 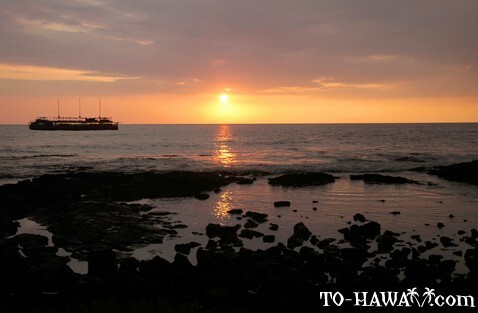 You will also notice that after sunset, the Hawaiian sky tints into light-blue colors and becomes a truly spectacular view. The food menu on dinner cruises varies from provider to provider and from package to package. Standard packages usually offer a buffet and the menu includes pasta and green salads, mixed vegetables, Hawaiian fish, such as mahi mahi, roasted or fried chicken, butter rolls, steamed rice, mashed potatoes, fruits and dessert. The dinner menu on premium packages might include a fine choice of appetizers, entrées and desserts. Premium cocktails and often times even champagne are included in those packages as well. Drinks include beer, wine, Mai Tai cocktails, pina coladas and other tropical cocktails. Besides the cocktails that are already included in the cruise package, some vessels feature an open bar from where you can purchase more drinks. Coffee and tea are served for free. 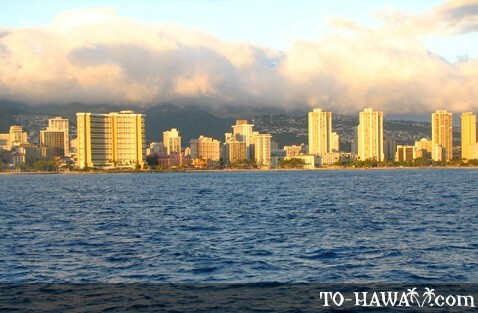 Some of the Hawaii dinner cruise providers offer special cruises on holidays, such as Valentine's Day, July 4th and New Year's Eve. Weddings and other occasions, such as birthday parties and anniversaries can sometimes also be arranged. 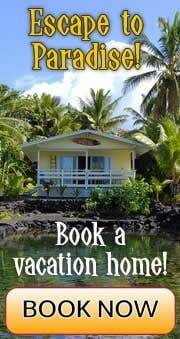 For more information on how to organize a special occasion cruise, contact your Hawaii travel agency.